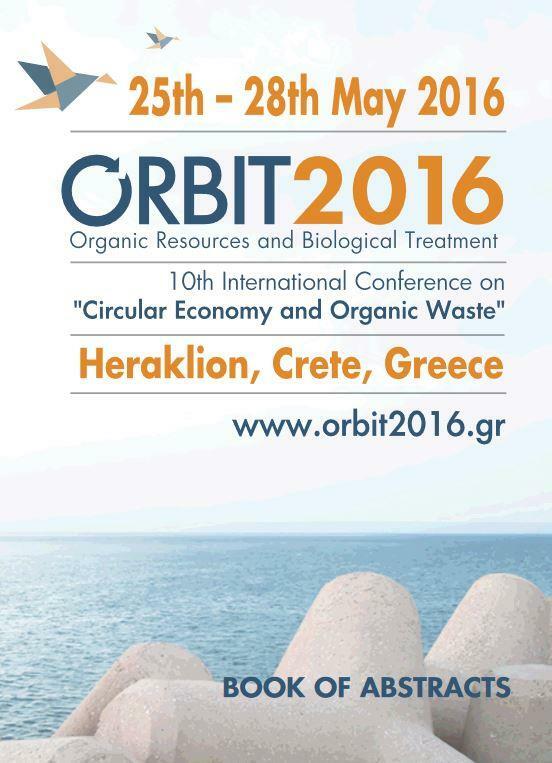 ECN’s next ORBIT conference was held in Heraklion, Crete on 25th to 28th May 2016. Focussing on the ‘Circular Economy and Organic Waste Management’, it was the tenth biennial conference on Organic Resources and Biological Waste Treatment, signalling 20 years of excellence in scientific research and professional networking. 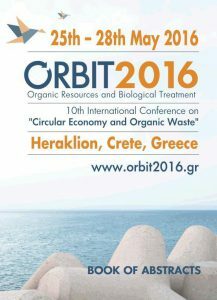 ORBIT 2016 was organised by Harokopio University of Athens (Prof. Dr. Katia Lasaridi), the Technological Educational Institute of Crete (Associate Prof. Dr. Thrassyvoulos Manios) and ECN. The proceedings of ORBIT2016 can be ordered by Prof. Thrassyvoulos Manios from the Technological Educational Institue of Crete for €60. The conference was organized by Szent István University (Gödöllő) and the Hungarian Quality Compost Association in co-operation with the European Compost Network e.V. (ECN). It aimed to encompass several aspects and offered opportunity to explore many current and relevant issues of organic resources and biological treatment, including compost, biochar, digestate sciences and applications. It provided an interactive forum for exchange of ideas and joint discussions on recent scientific and practical results and current issues related to technological processes, analysis and characterization, sustainable uses and certification, regulation and marketing aspects. The abstracts of the ORBIT 2014 conference can be downloaded from the website ask.eu. The programme of the 8th International ORBIT Conference in Rennes is now completed. The event gives an up-to-date insight on the numerous aspects accompanying organic waste on its way to valuable resource. You will become familiar with the latest developments, R & D, future policy changes and the effect all might have on the organics recycling sector. 180 presentations from more than 30 countries world-wide, a poster session and an exhibition, technical tours to French organic waste treatment plants. All supplemented by the ECN workshop "From Waste to Product - Sustainable Management of Organic Resources in Europe" - organised by the European Compost Network ECN which celebrates it's 10th anniversary at the event. The detailed progamme of ORBIT 2012 can be downloaded here.